Which Ayurveda Type Are You? Start your own personal health program today. With the free Ayurveda Test from Euroved, you’ll find out which foods are good for you and which yoga exercises and meditations best suit you. The Ayurveda test reveals which dosha or “bioenergy” is the strongest in you. Simply answer the following questions. You can select one or several responses. The more you keep your answers to one response per question, the more accurate the result will be. At the end of the test, you will learn about your personal Ayurveda type and receive comprehensive tips for your health, from nutrition to yoga and meditation. What is an Ayurveda Type? In Ayurvedic medicine, the personal constitution of the person is the starting point for all treatments. This constitution (Sanskrit: prakruti) expresses itself as an individual manifestation of the three doshas (bioenergies or life forces): vata, pitta, and kapha. Since birth, every person has had this unchanging constitution, also called the Ayurveda type. Which Ayurveda Types Are There? A total of 10 different Ayurveda types can be distinguished with the Ayurveda Test. When one of the Doshas is dominant, the constitution is either Vata, Pitta, or Kapha. The following combined forms are also possible: Vata-Pitta or Pitta-Vata, Vata-Kapha or Kapha-Vata, Pitta-Kapha or Kapha-Pitta as well as the balanced Vata-Pitta-Kapha (Tri-Dosha). How Does the Ayurveda Test Work? 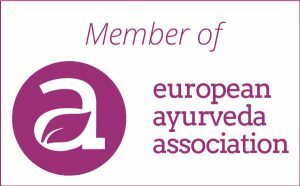 The questionnaire for the Ayurveda Test from Euroved was developed by Dr. Harsha Gramminger on the basis of traditional transmissions. The questions address various physical, mental, and emotional aspects. The possible responses can each be assigned to one dosha. An Ayurveda test as a questionnaire cannot replace a detailed medical history (anamnesis) acquired by an experienced Ayurveda doctor. You should consider this if you are sick and would like to receive medical Ayurveda treatment. However, the dosha constitution determined by an Ayurveda test will immediately help you live a healthier life and be able to do more for your wellbeing. Why Is the Ayurveda Test So Important? The vata dosha consists of the elements of space and air, the pitta dosha of fire and water, the kapha dosha of water and earth. For a harmonious living environment, it is necessary to have these five elements in balance. For example, too much rain (the water element) would wash away the land; too much sun (the fire element) would burn the ground. It is also similar with the doshas in our body. If vata, pitta, and kapha keep flowing smoothly, we are healthy. If there are accumulations of one dosha or another, we get sick.